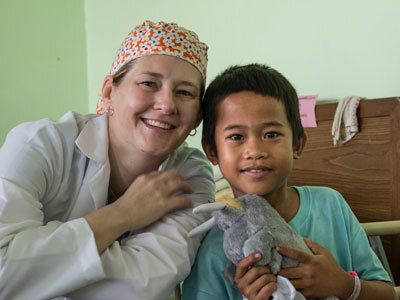 Aloha Medical Mission, a secular, nonprofit 501(c)(3) volunteer organization based in Honolulu, Hawai‘i, provides free health care to underserved people in the Pacific, Asia, and Hawai‘i. It was founded in 1983 by Drs. Ramon Sy and Ernesto Espaldon under its parent organization, the Philippine Medical Association. 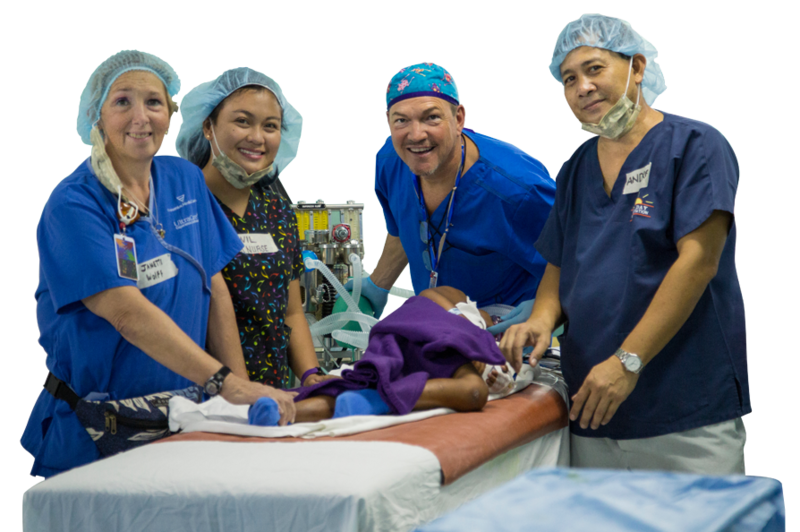 That first year, a team of physicians and nurses traveled to a small Philippines town and performed free cleft-lip surgery on children whose families were too poor to afford the operation. Since then, the scope of surgeries has expanded to include other surgical specialties and dentistry. Medical services were added to the missions, which grew in number and country diversity. In the past two years, missions have been sent to Burma (Myanmar), Laos, Nepal, and the Philippines. Beginning in 1993, fellowships in ophthalmology provided by a Honolulu-based ophthalmologist have helped train 26 Filipino physicians, all of whom have returned to the Philippines to practice in their local communities. A joint project in 2007 with the Polynesian Voyaging Society led to medical clinics held on Yap, Ponap (Pohnpei), Satowan, and Chuuk. We have collaborated with local agencies and hospitals in sending cargo containers of medical supplies to hospitals in the Philippines and Micronesia. In 2000, the Aloha Social Services Bangladesh medical clinic was started in Bangladesh. It has developed into a multiservice facility providing medical care, early education for children too poor to attend school, vocational and literacy training for parents, advocacy for women’s rights, and micro-loans to needy families. In the early 1990s, we began programs to bring free medical care to the homeless, the uninsured and the indigent in the state of Hawai‘i. Collaborating with the Waikīkī Health Center, we sent caravans of doctors and nurses to beach camps. For two years beginning in 1995, we staffed a clinic to treat the homeless at The Institute for Human Services (IHS). In 2002, we established the only free medical clinic in Hawai‘i. This clinic served new immigrants, the homeless and the uninsured. In early 2010, we closed the clinic, transferring our patients to the Kalihi-Pālama Health Center, which was then better able to provide a full range of patient services. In 2002, we established the only free dental clinic in Hawai‘i. This clinic continues on as AMM’s main health-care focus in Hawai‘i. We serve the 30 percent of the state population that lacks dental insurance and care for about 120 patients per month. Our project, Kōkua me ka Laulima: Help With Many Hands, was initiated in August 2010. AMM developed the collaboration of two local hospitals (Queen’s Medical and Castle Medical centers), private surgeons and anesthesiologists, and two community health centers on O‘ahu (Kalihi-Pālama and Kōkua Kalihi Valley health centers) to provide free outpatient general surgery services to the uninsured poor. We hope to expand the breadth of surgical services and the number of participating hospitals, physicians and community clinics. 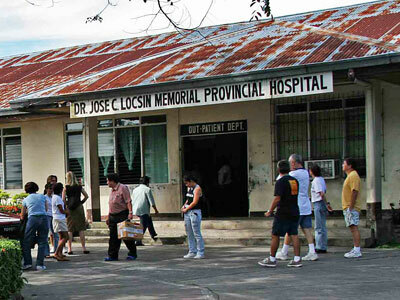 By April 2011, two patients were operated on under the auspices of this program.